Wallace D Newman was born on October 3, 1926, to Grover Cleveland and Elna Crawford Newman in Anchorage, Texas. Graduating early from Freer High School in 1945, he was drafted into the U.S. Army at the end of WWII. After serving his time, he was discharged and went to work for Oil Well Supply in Alice, Texas. It was then he met his forever love, Sue Kathryn Jackson, marrying in 1952. They moved to Bryan in 2015 after living in Alice for sixty-five years. 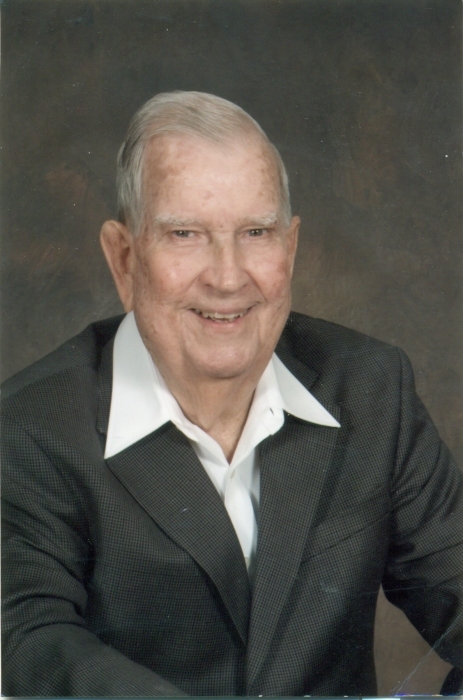 Wallace served in the Texas State Guard, WWII, and the Korean War. While serving in The Korean War, he received a Purple Heart and President’s Unit Citation. He was a very proud and patriotic veteran. After joining the Catholic Church, he was an active member of St. Elizabeth’s Church including Parish Council member, 3rd Degree Knights of Columbus, chairman of the St. Elizabeth’s Rosary and praying the Rosary for local nursing homes. Wallace is preceded in death by his parents, his beloved son, Michael Lynn Newman, brother B.A. Newman, Nelson Newman, and sister, Maureen Ramsey. He is survived by his loving wife Sue Kathryn Newman of 66 years; son, David and Jo Newman; daughter, Belinda Newman and Tamra McElwee; and daughter-in-law, Mary Newman; sister, Leona Swanson; brother, Norman Newman; sisters-in-law Ruth Newman; Barbara and Wallace Mikulak, Betty L. Jackson; and brother-in-law Bill and Betty Jackson; and grandchildren Melody and Jason Leverette, Grey and Jessica Newman, MacDee and Rachel Fisher, Jacob and Katie Fisher, and Kacy and Josh Yates; and thirteen great grandchildren. Also, a host of friends from Alice, Carriage Inn of Bryan, and his beloved dog Mia. A 9:30 visitation will be held Tuesday, September 11 at St. James Catholic Church in Seguin with the Rosary to begin at 10:30. A Mass of Christian burial will follow. Interment with Military Honors will be at the Guadalupe Cemetery in New Braunfels. Pall bearers will be: Grey Newman, MacDee Fisher, Jacob Fisher, Jason Leverette, Josh Yates, T.J. Swanson and Gilbert Rodriquez. In lieu of flowers donations may be made to Brazos Valley Hospice.